Klaus Spitz passed away peacefully on Tuesday, October 23, 2018 at the age of 74 at Pinawa Hospital. Klaus will be lovingly remembered by his devoted wife Mary of 51 years, daughters Cyndi (James) and their children Alex, Rebekah, Charlotte and Braelyn, and Chris (Shannon) and their children Nicole and Kevin. 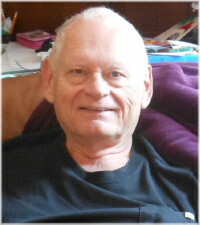 Klaus graduated in June of 1967 from Red River Community College with a diploma in electronic technology. He and Mary were married in July that year and they moved to Lake Traverse, Ontario where Klaus worked for the National Research Council doing radio astronomy. Here he was part of a team that discovered quasars. Klaus and Mary moved to Pinawa in 1968 where they worked for Atomic Energy of Canada Limited (AECL) and raised their family. Klaus started in operations with the reactor team, moved to Research and Development, designing the RD 14 facility and also worked on fluid hydraulics involving water hammer. He retired in 1998 to enjoy computing, bicycling, and his family. He loved being outside in Pinawa and its beautiful surroundings. Klaus appreciated and loved family most of all. He cherished every bit of family time. A Celebration of Life will be held on Saturday, October 27 at 11:00 a.m. at Sobering Funeral Chapel, 1035 Park Avenue E., Beausejour. Donations may be made in Klaus’ memory to Pinawa Health Auxiliary, c/o Pinawa Hospital, Box 220, Pinawa, MB R0E 1L0. I was very sad to read of Klaus’ passing. I told Erica who was very sad to learn that her best friend from Pinawa’s father passed away. Our whole family sends our deepest sympathy and love to you at this sad time. Very sorry to hear about Klaus’ passing. I have very fond memories of him and your family. Hold the memories close. We will so miss Klaus’s clever sense of humour and intelligent conversations! We are very sorry for your loss, but know you are in our thoughts and prayers during this sad time. Dear Mary – Our thoughts and prayers are with you and your family during this difficult time. Mary and family I’ve just heard about your loss of Klaus. Please accept my condolences. Although Klaus had not been in robust health recently, we did not know he would gone this quickly. It was only a few months ago he was parked on his motorised scooter at the marina smiling at people going by while taking in the view. He will be sorely missed. Mary, Cyndi & Christine – We were so very sorry to hear about the passing of Klaus. We have many fond memories of our friendship with your family in Pinawa. With heartfelt sympathy. Barbara, Dave, Cathy & Heather.